We have two exciting announcements today! The big announcement is that Rollins Financial and Rollins & Associates are happy to welcome our newest (and smallest) member, Harper Wilcox. Harper is the beautiful baby daughter of Eddie and Jennifer Wilcox. She arrived on October 1 weighing in at 8 pounds 14 ounces, and everyone is doing well. We extend our congratulations to the entire Wilcox family! Second, Joe Rollins and Robby Schultz were named in the October issue of Atlanta Magazine as 2009 FIVE STAR Wealth Managers. 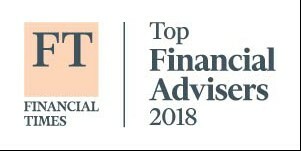 The individuals who receive this award are selected based on a rigorous research process and represent less than 4% of Wealth Managers in the Atlanta area. If you know anything about Rollins, you know it is a team effort, so congratulations to the entire Rollins team. Click here to read the press release.